A young servant girl entered the throne room and padded across the flagstone floor, carrying a delicate metal cage in her trembling hands. She remained silent while waiting for her next command. Draven slowly stood and glided over to the pedestal to his left, his black robe trailing behind him. He inhaled a deep breath and stared at the empty gilded cage that sat before him. He suddenly swung his arm at it, sending it flying across the spacious room, and it crashed loudly against the floor. The servant gently rested the new cage in its place and swiftly fled the room. “I am afraid that is a matter out of my control.” The petrified man sat quite still, purposely avoiding Draven’s scrutiny. A buzzing noise vibrated from the cage. A pixie fluttered her tiny wings, flying frantically and bouncing off the bars. Annoyed, Draven shot silver sparks out of his fingertips, aiming at the pixie. She was quick and barely dodged them. “You have the ability to free them.” Draven’s lips curled into a sneer. With the flick of his index finger, Draven magically opened the cage door. The pixie tucked her wings against her back and pressed herself against the far wall of her cell. The pixie took off in flight from her cage and zipped toward an open window. Draven raised his open hand and summoned her to him, and she involuntarily flew in his direction. She let out a squeak as Draven swatted her to the ground; she lay unmoving, knocked out cold. The pixie stirred, slowly regaining consciousness. After a minute of watching the tortured pixie attempting to flee to safety, Draven shot sparks out of his hand, hitting the pixie in the back. She spiraled to the ground, and what was left of her wings sizzled to ash from the electric shock. “What if I could bring your wife back? Could you be persuaded to help me then?” Draven walked over to the pixie and waved his hand inches above the dead creature. A glittering wave of magic washed over her body, restoring her strength and beauty. She tried for her freedom one last time, and inches from the window Draven summoned her, sending her straight back to her cage. 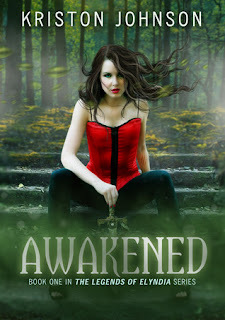 Enter to win an eBook copy of Awakened! Just fill out the Rafflecopter form to enter. 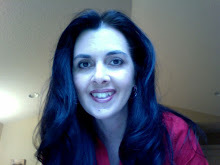 Nice blog....thanks for linking in at LinkedIn.